NEWTOWN - Sonics & Materials, Inc. recently celebrated 50 years of manufacturing in the state of Connecticut with a gala luncheon. Held at its headquarters, the gala was attended by Connecticut Attorney General William Tong, Newtown First Selectman Dan Rosenthal, David Tusio, director of economic development at U.S. Sen. Chris Murphy’s office and employees. The event not only marked the celebration of a milestone, but it also highlighted the appointment of Lauren Soloff as the new president of the company. 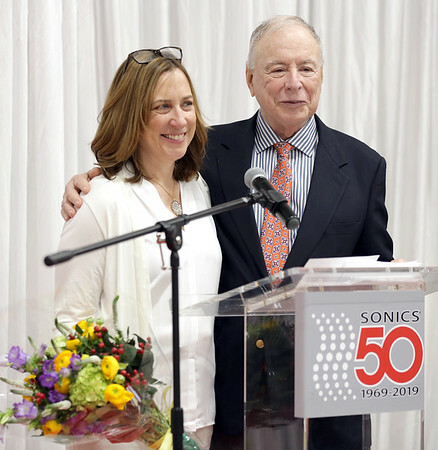 During the celebration, Sonics & Materials founder, Robert Soloff, the company’s ongoing CEO, announced that his daughter, Lauren Soloff, would be assuming the office of president. She was previously the executive vice president. In addition, Sonics & Materials was recently announced as Murphy’s Monday Manufacturer. The company’s corporate headquarters is located at 53 Church Hill Road. Sonics & Materials is an ultrasonic technology manufacturer that has been around since 1969. The company offers ultrasonic welding, liquid processing, sealing and cutting technology. In 1965, before the start of the company, its founder was awarded a patent by the U.S. government for the “Sonic Method of Welding Thermoplastic Parts.” Soloff discovered the process of welding rigid plastics with ultrasonic in 1963. According to the company’s website, under the leadership of the Soloffs, Sonics & Materials has tripled its annual sales over the last 20 years. Sonics & Materials serves several industries across the world including automotive, industrial, packaging, medical, food, toy, research, chemical and appliance manufacturers. Part of the company’s mission is to advance the industry with innovation and creation. Over the past 50 years, the company has acquired more than 30 patents for technological innovation. Sonics & Materials runs out of a 55,000-square-foot facility and it serves as an employer to 85 individuals. The company also provides work study programs for students from Emmett O’Brien Technical High School and Henry Abbott Technical High School. The company also recruits students from Naugatuck Valley Community College and the University of Connecticut’s School of Engineering. 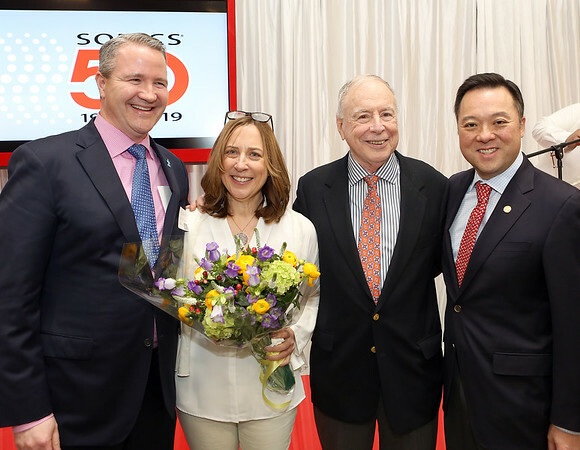 “We are extremely proud of our 50 year record of success and proud of our commitment to growing our company in Connecticut,” Lauren Soloff said. To learn more about Sonics & Materials, call 203-270-4600 or visit the company’s website at www.sonics.com . Posted in The Bristol Press, General Business, General News, Manufacturing on Monday, 8 April 2019 20:39. Updated: Monday, 8 April 2019 20:42.